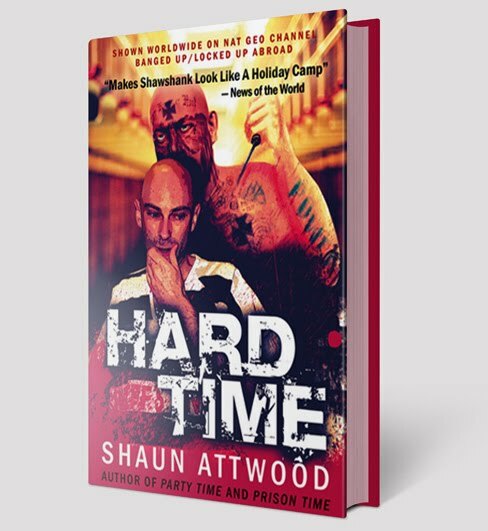 I finally got around to reading your book, Hard Time! Wow, once I started I could not put it down! I was usually "you do the crime you do the time" in my opinions, but I could not believe the vile conditions you had to endure, and I could not literally believe that you spent all of that time in there on "remand", without trial being treated that way. I was astonished at the corruption and the way that the system is stacked against EVERY inmate, irrespective of circumstance. Whilst I believe in punishment for the crimes, these conditions are totally unacceptable in any circumstance. I also believe that somehow the corruption needs to be stamped out, and as such I applaud your work in trying to get the message out there to get this cause noticed and on someone's agenda to try and get some action done! I notice today yahoo is running your story, which is great! A question: A lot of people relate criminal activity back to treatment during childhood. Can I ask, did you receive any discipline as a child? Were you, for example recipient of any forms of corporal punishment both at school or at home? Do you think you were allowed to go "off the rails" through a lack of discipline both at school and at home as a child? Or were you studious and well behaved (having a degree and all) as a child? If I misbehaved as a child, I wouldn’t be allowed out to play with my friends. I only got caned a couple of times at school - one was for throwing a snowball that hit a teacher. I don’t believe I was allowed to go off the rails. I was studious, and didn’t really go off the rails until I was making big money in America in my twenties. I tried drugs thinking I could have fun at first and quit whenever I wanted, but over time drugs put a cloud in my mind. Chasing my earlier highs, I did more drugs and mixed drugs up, and my behaviour became much crazier. With most of my friends doing the same, we reinforced each other’s negative behaviour. With no one to put the brakes on, and our decision-making faculties scrambled by years of drug use, we all went off the rails at the same time – as you’ll find out in much more detail if you read my next book, Party Time. Regarding your comment about the jail conditions, you quite rightly pointed out that unsentenced inmates shouldn’t have to endure such conditions. In America, there is a presumption of innocence until guilt is found, and the law states that pretrial detention shouldn’t be a form of punishment. 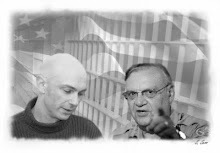 The conditions are illegal, but Sheriff Joe gets away with it because he’s elected by people in Arizona, where he is a law unto himself, out doing publicity stunts every week, while raking in millions in political contributions from vested interests such as the private prisons.